In high school, I went to a music festival with some friends. A few years before the concert, I had been a fan of one of the headlining bands, but by that time I found its music offensive. So, while my friends watched that band perform, I wandered around the music festival alone. At some point, I passed a man who was standing on a sidewalk holding his Bible. He wasn’t preaching or even stopping every passerby. But he walked up to me and handed me a tract. “Are you born again?” he asked. Now, I have been an evangelical my entire life. The church I grew up in might have barely been evangelical, not due to being liberal, but rather to a hint of sectarianism. But even if my evangelical pedigree is spotty, I’ve been around evangelicals all my life. I even went to an evangelical Christian high school. So I’d been asked this question before. This time, though, God used the question to convict me. It remains one of the most pivotal moments of my life, a moment that made me examine myself and discover I was not a disciple of Jesus. I date the beginning of my Christian faith to shortly after this moment. But I find that question––”Are you born again?”––puzzling. Why is this question so prevalent? And I do agree with the theological basis of the question. People need to be born again. Yet I find it an odd question to ask someone. If I agree with the theological foundations of the question, why do I find the talk of being “born again” so odd? Think about life and birth in its normal context. If someone has been born in the past, then he is not necessarily alive. Aristotle was born, but he is not alive. And if someone is alive, he must have been born. I am alive, so I must have been born at some prior time. If I wanted to know if you were alive, I would never ask you if you were born. Seeing you moving around, talking, breathing, and doing other things would be enough evidence that you were alive and therefore had been born at some time in the past. Similarly, even though you have been born again doesn’t mean that you’re still living a Christian life. You might have left the faith. But if you show the signs of a spiritual life, then that is evidence that you have been born again by God. This is why I find the question, “Are you born again?”, so strange. We check to see if someone has spiritual life by asking about her birth. But it would make much more sense to see if she has a living Christian faith by looking for signs of such a life. It does little good to ask if she has been born again. Asking someone if they have been born again to see if they have a living Christian faith makes as much sense as asking the person at the dinner-table with you for her birth certificate so you can verify that she is alive. It is also interesting that what many evangelicals consider the defining mark of a Christian is something decidedly unobservable. I cannot observe a spiritual rebirth; I can only ask someone if he have experienced it. The Christian life, however, is something observable: Jesus said that you will know a tree by its fruit (Matthew 7:16). The result of the spiritual rebirth is observable. 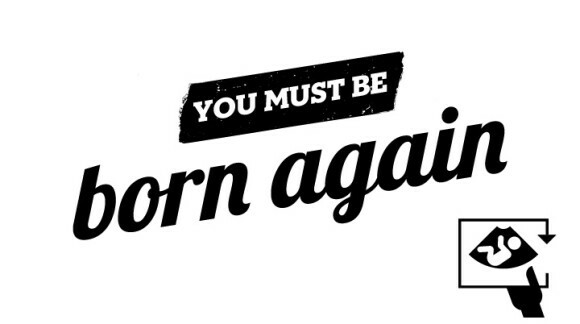 I’m not saying that we should completely remove the phrase “born again” from our vocabulary, and evangelicals don’t have to stop asking people if they have been born again. But perhaps we need to let the fruit of the Christian life matter more than the answer to a question. (And it is a question that is never asked in the New Testament.) Perhaps, too, it is not a great lead-in question for evangelism, if for no other reason than the phrase is not understood by most non-Christians. I am sure of one thing, though: whether or not the phrase continues to be prevalent in the evangelical subculture, we need to make sure that our churches emphasize that being a Christian involves producing the fruit of the Christian life. Too many people are complacent because they know the answer to the question, “Are you born again?”, but they have not been truly changed by God. That needs to change, even if our language does not.